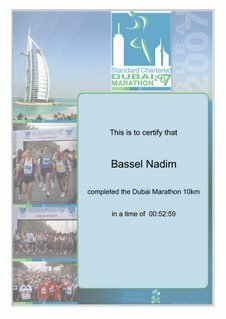 It was 06:20 early morning on 12 January 07 when you can find me at Dubai Marathon race. This is the earliest time ever you can see me awake outside the airport, since the good old university days. 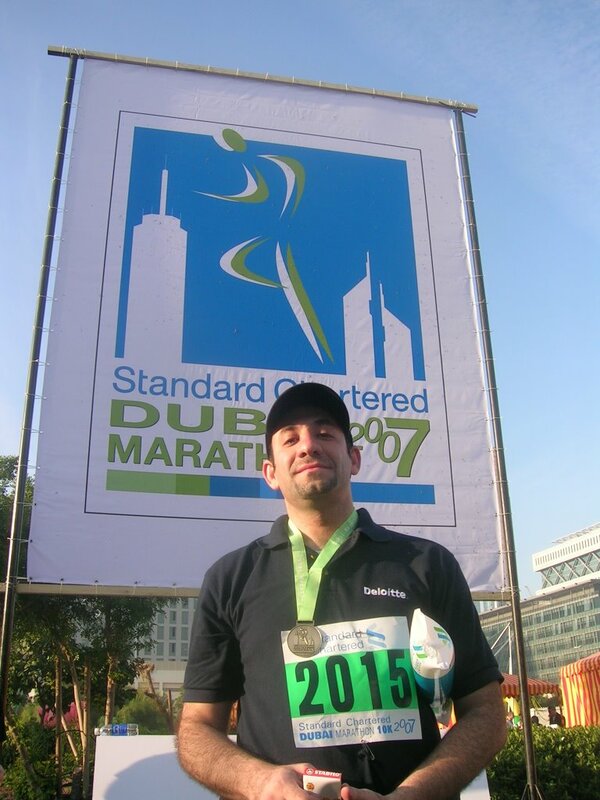 Dubai Marathon is organized by Standard Charted Bank every year. 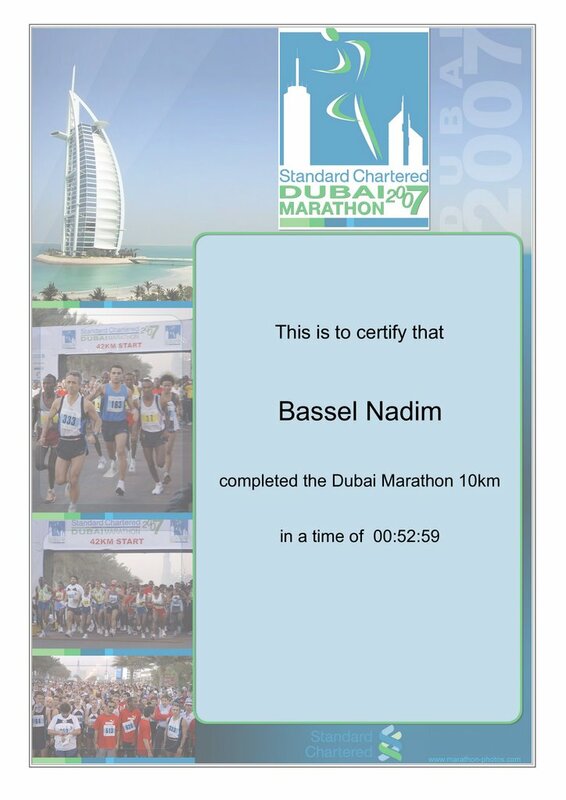 It is an event to raise fund and donated money for charity organizations as well as promoting athletics in the UAE. 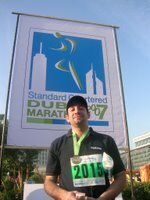 Deloitte, my company, has sponsored its team participation. Can’t you see Deloitte logo on my cap and shirt?! 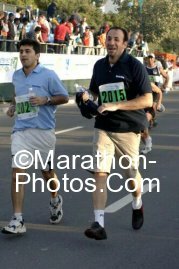 I can not pretend that I ran the entire 10 KM, but I did run enough to be listed among the first 300 “heroes” out of the 3000 participants. After the Marathon we went to a gala breakfast at Moore, in Moroj Rotana hotel. I was too much hungry. Sorry no pictures… our hands were busy in eating! !